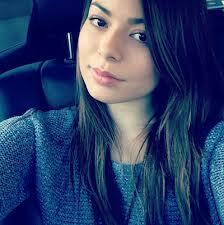 Miranda Cosgrove is the star of the hit TV show, iCarly, and Drake & Josh. She also appeared in School of Rock alongside Jack Black, and now, at age 20, is all grown up. She has a new movie, Despicable Me 2, in which returns to her role of Margo, and was able to work with the likes of Steve Carell and Kristin Wiig. 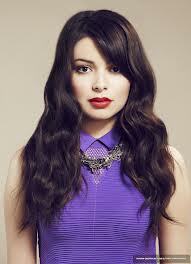 Cosgrove is a former model and is also a recording artist, currently in the studio with Randy Jackson and Max Martin. An only child, she was homeschooled from the sixth grade. She is currently attending the University of Southern California studying film and screenwriting, and in October last year bought a three bedroom house for US$2.65 million. She looks stylish and fresh-faced, and is wearing a snug-fitting sleeveless white dress and heels. I live in LA and I am from LA. I just turned 20, I have been acting since I was 3 but started when I was 12. There’s this thing called Taste of LA, it’s a food festival, and an agent came up to me, I don’t remember to be honest, but my mom told me, an agent came up to my parents there. And from that point I started going on auditions and I just kept acting since then. I just went on a lot of auditions when I was younger, commercials and modeling and print stuff, like little kid type things but I didn’t do it that often but when I turned eight or nine, I started doing it a lot more. I realized that I really loved acting. Q: Do you have very strict parents? My mom is the opposite of my dad, they kind of even each other out because my mom is very cool and collected, my dad is more the one that kind of freaks out. Q: But now you’re independent, you make your own money. That must change things? Yeah, I mean, definitely because I have my own place now. I still go to my parent’s house all the time, but I am not completely living with them. Q: You must be feeling pretty free? I think it’s true in some ways because like you have to figure out what auditions are right to go on and then what parts are right and what you want to do, and it’s kind of hard when you are young and because a lot of times my parents would just make the decisions. So there’s a certain point where you have to work it out for yourself. Q: It looks like your career is really taking off. Yeah, sometimes I wish I could have my mom call and have her tell people whatever I want to do because sometimes it’s hard to stand up for exactly what you want. But yeah, I am getting better at it. Q: Do people still talk to you about ICarly? Yeah. People still send me messages all the time on Twitter and Facebook and Instagram and they will talk about the show. I still get messages about it a lot. So that’s cool that people are still supportive even though it’s over. Q: Have the fans grown up with you? When I first started, I was 13, and yeah I think a lot of people that watched ICarly were even younger kids than that who watched the show. A lot of the people are my age now that really followed it. Like, I have a lot of shows I watched when I was younger that I still like and love when I think of them, but I don’t really watch them as much now. I am not into them anymore but when I hear about them, I remember how much I liked them. Q: Are you very conscious about being a role model? You have got so many kids looking up to you? I mean, I definitely think about people that watched ICarly and the kids that watched this movie, or the first Despicable Me, and the families. I do think about those people when I think about what I want to do next. Q: Have you been able to balance work with student life and going to college? I really haven’t really balanced it that much. I just went to regular school and kind of focused on that for the last almost year. I had just been at USC and I just finished my first year, so I will probably take a semester off at some point, and then try and do an acting role and go back. I want to major in film and then I want to really take screenwriting classes, that’s the main thing I want to do in the film program, because people like Steve Carell and Kristin Wiig, I think they are really cool because they write their own stuff. Q: And it’s no problem for you to be mingling with ordinary students? Do they see you as a celebrity or as a regular student? I think it depends. Some of them don’t come up to me or even bother me at all and then some kids will come up and be like, ‘Oh, I watch ICarly.’ And they will all introduce themselves but I have made a lot of friends from people coming up to me at school. So I guess it works out. Q: How interested in fashion are you? Do you like getting dressed up and going to red carpet events? Yeah I like fashion a lot. I mean, I have always liked shopping and clothes, but I have definitely gotten into fashion more I think in the last few years. I don’t know. (laughter) I guess I am not that into it. Q: You just turned 20, how has it changed and what do you expect from this decade? I don’t know, but I feel it’s so much older than 19 though, (laughter) 20 is really cool. Q: Do you feel you’ve grown up? Kind of. I mean, I don’t know. I feel like when I say 20, I’m like, wow. (laughs) I think it sounds much more mature, maybe because I’m not a teenager anymore. At 19 you can still get away with acting pretty young, but then 20 is like you should be kind of mature. Q: How do you think you have avoided the obvious pitfalls of other child stars? I think my parents are really helpful. They are really supportive and always there, so I think that’s helped me a lot. Q: So to follow up on that, have you followed what’s been happening to Amanda Bynes? Well I love Amanda Bynes. When I was young I used to watch The Amanda Show all the time. I don’t know; I can understand why it would be hard for people like Amanda Bynes being followed by paparazzi and being constantly like talked about, I think that that could be really difficult. Yeah, I watch a lot of TV Shows, I watch Parenthood, and I watch Girls, all the episodes so far, Modern Family. But yeah, I really love Parenthood. Q: What do you think about shows like American Idol and The Voice? Would you recommend a young person to audition for those shows? And where are you with your music? Well I think those shows are cool. I used to watch American Idol all the time and I love Kelly Clarkson and Carrie Underwood and a lot of people that have come out of the show. And I definitely think it’s a good way for people that are all over, it’s a good way for them to be recognized for their talent. So I think that part of it is like really awesome. Q: I don’t know if you saw Spring Breakers with Selena Gomez, but there is an expectation to become edgy at a certain age. How do you feel about that? Is that exciting to you or is that something that you are not looking forward to? I don’t know about being edgy so much, but I definitely would like to be in something that is different than anything I have done before, definitely something more mature, but at the same time, I would still want most of the people that watched ICarly to be able to enjoy it. I don’t know, I guess it’s just about finding a good part, finding the right thing. Q: Whose career would you like to follow? Well, I love Anne Hathaway and I think she’s pretty amazing. She was in Princess Diaries when she was younger and she has just really made a lot of great choices with all the movies that she’s been in. So, she’s somebody that I think would be an awesome example, I would like to be able to do what she did, I think she’s great. Q: And what do you like to do when you are not working? I just like hanging out with my friends. I go see movies constantly. I got my license two years ago so I am still excited about driving, (laughter) even though there’s really a lot of traffic in LA. I like to go to the beach and stuff like that. Q: You said earlier that you bought a place for yourself, did you decorate it yourself? Was that fun going shopping for furniture or did you go to flea markets? In the beginning I just wanted to get all the main furniture and couches and stuff, and now, like for the last few months I’ve been going to random stores and getting stuff. I’ll go into my house and be like, ‘Oh, I’ll need a little placemat’ (laughs) or any random little thing, and I’ll go out searching for it. So that’s been fun, I have never done any interior design before. Q: Wouldn’t it be easier to hire an interior designer? Well it’s kind of awesome because the lady that lived in the house before me was an interior designer, so I became friends with her and then she helped me with a lot of it, which was awesome because I had no idea, like measurements or how to do it. Q: So what have you learned as a new homeowner? Is there always something leaking? Yes. (laughter) I got a dog because I was scared of being there alone and I thought it would make it more homey and actually that was the best decision I ever because my dog is awesome. A girl. Her name is Penelope. Q: You mentioned Anne Hathaway. How do you feel about people now saying they hate Anne Hathaway? People don’t like Anne Hathaway? Q: I think people got sick of her. Q: I guess you have considered that as you enter into the world of celebrity, these types of things are going to be potentially happening to you. Yeah. I don’t know. I think for everybody, it’s easy to go online and find a mean comment. Like, you could find anybody and find something mean, so even though I totally admit if I read like 500 comments and I read one mean one, I will remember that one for weeks. It definitely bugs me but you can’t let that stop you from doing what you want to do. It feels better when you know that pretty much everybody in acting gets it. Like, it’s sad, but at the same time, it makes me feel better that everybody gets that and even though specific people at certain times get it worse than others, I think that it’s not that bad because at least a lot of people go through it. You have to not pay attention I guess. Well, it’s not like you can answer back, (laughs) and I feel like that’s the weird part about it because in real life, if someone said something mean you would be like, ‘Why did you say that?’ or you’d say something to the person. So it’s kind of strange when someone writes something on line, because you can’t really defend yourself. But what I do is I’ve bothered my friends before by talking about it for an hour, just being upset about something and I think the best thing to do is not let it bother you. Q: But when you wear something on the red carpet, do you look up whether you are on the Best Dressed, the Worst Dressed? (laughs) I don’t know. My mom is funny; she really follows that kind of stuff. She loves clothes and fashion, so if I am on a Best Dressed thing, she’s like, ‘Oh my God, this list,’ or whatever. So she is more into it than me when it comes to fashion and what people are saying. Q: So you are not watching The Fashion Police? Q: So what’s currently happening with your music? I have been in the studio in the last three months a little bit, so hopefully I will release a new song soon. I am trying to change the sound and make it different.